Regional governor of Montana Mr. Ivaylo Petrov and his Deputies Mrs. Nina Petkova and Mr. Petar Petrov took part in the official ceremony on the occasion of the 137 anniversary of Bulgaria’s liberation. 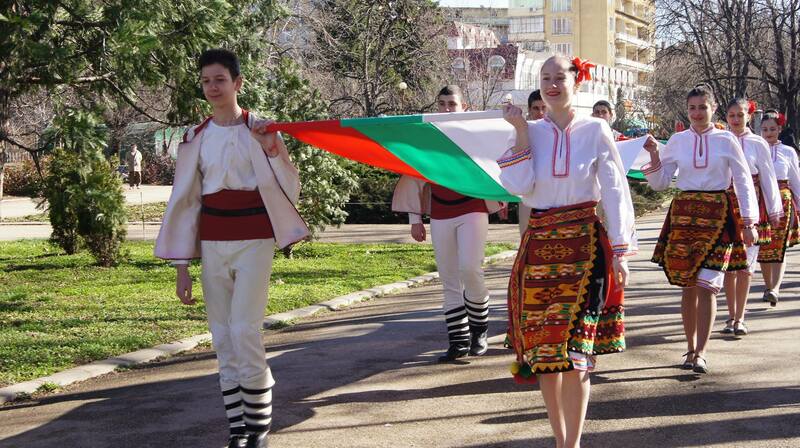 Members of Bulgarian Parliament, municipal councilors, representatives of political and civil organizations, students and hundreds of citizens came to “Jeravitsa” square of Montana city to pay homage to one of the brightest dates of Bulgarian history. As a tradition ceremony was initiated by the brass band which performed military and patriotic songs. All the people proudly stood in silence during the official raising of the national tricolour. Wreaths and flowers were placed in front of Montana’s Monument of the people who died in the wars of national union in order to respect the heroes.